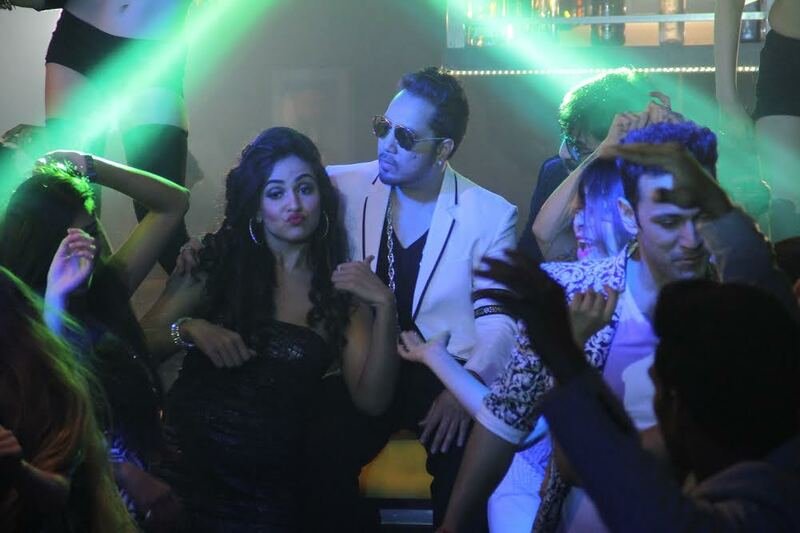 Singer and performer Harshi Mad is all set to scorch the screens with Mika in the promotional video song- “RAAT SATURDAY KI HAI” from the film “Love Day – Pyaar Ka Din”. It is a party number where Harshi, Mika, and all the three lead actors from the film seen tripping to the words “Raat Saturday ki hai baat Saturday ki Hai”. On working with Harshi, “I enjoy working with new talent, especially when someone suits the song so well. Harshi is Mad! And is a party animal so the song suited her well. She looks good and dances well so I told her to feature in the video too”, said Mika. Love Day is an upcoming Indian Comedy Drama film based on Friendship which is written and directed by Harish Kotian and Sandeep Choudhary. The Movie features Ajaz khan, Sahil Anand, Harsh Nagar and Shalu Singh in the lead roles. The music has been produced by T- series and if this track is anything to go by, then the music from this film is going to crank up the party scene to scorching hot levels! This Film is scheduled for release on 23rd September 2016.